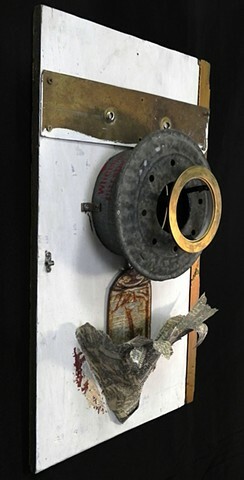 Salvaged wood, acrylic, found materials. 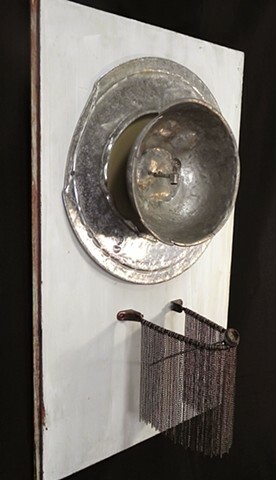 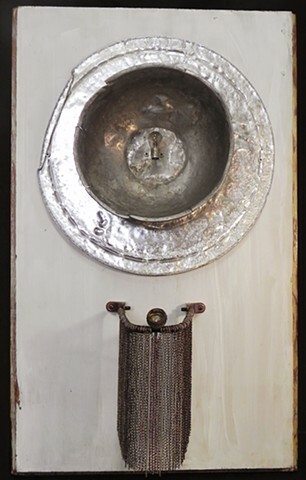 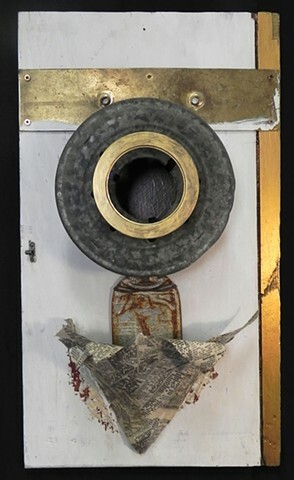 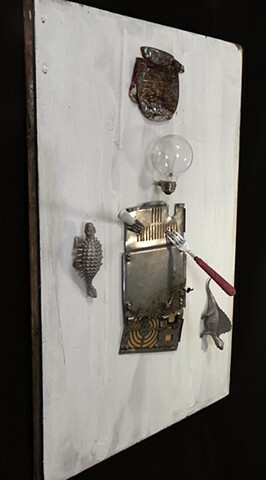 Salvaged wood, acrylic, newspaper, found objects. 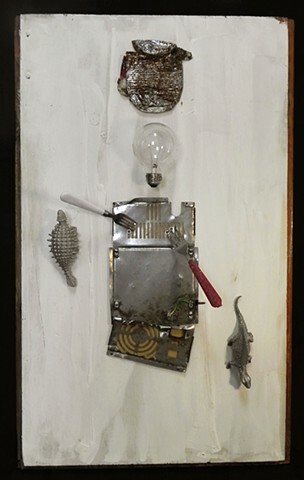 Salvaged wood, acrylic, commercially manufactured dinosaurs, found objects.